Your favorite classic football players are now collectible Mini Dorbz! 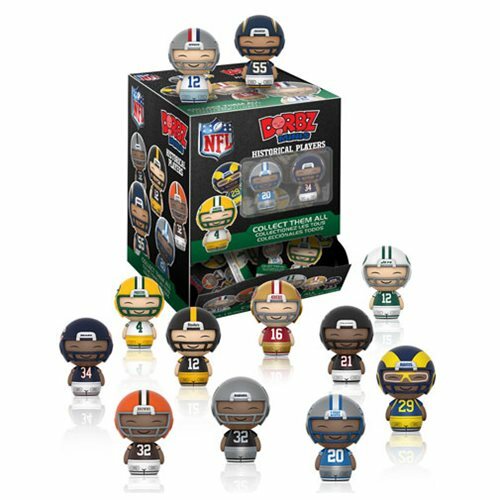 This NFL Dorbz Classic Minis Mini-Figures Random 4-Pack contains 4 blind-bagged Dorbz Minis vinyl figures! This series 2 includes athletes from some of your favorite NFL teams like Brett Farve, Deion Sanders, and more. Collect them all! Ages 14 and up.